On An Overgrown Path: Is classical music serious about a new younger audience? Is classical music serious about a new younger audience? 'The most significant progress in the recent history of music has to do with listening. How we listen to music could be, for perhaps the first time in centuries, every bit as important to its history and evolution as what the composer intends when writing it' - Ben Ratliff writing in his study of music in the age of streaming Every Song Ever: Twenty Ways to Listen in an Age of Musical Plenty. Has classical music really taken this fundamental change on board? Will a new younger audience accept old listening practices? Is how we listen now more important than where we listen? 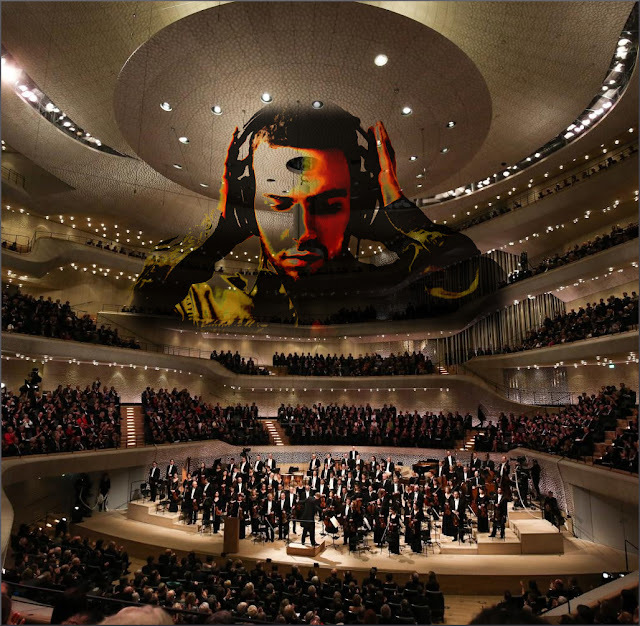 It is seven years since Jonathan Harvey observed that "young people don't like concert halls", one new example of which is the €789M Elbphilarmonie seen in my montage. Yes, there has been some progress, but has anything really changed? Also on Facebook and Twitter. No review samples used. Any copyrighted material is included as "fair use" for critical analysis only, and will be removed at the request of copyright owner(s).